CORVALLIS, Ore. – Scientists at Oregon State University have shed light on the evolutionary history of a soil-borne bacteria that is so dangerous to grazing animals it is kept behind lock-and-key to prevent its spread. Somewhere along the way, Rathayibacter toxicus lost about one-third of its genes. Yet it persists in spite of its genome reduction and low genetic diversity. In a new study, researchers propose a process that emphasizes the importance of the bacteria’s reaction to viral infection. At the center of that process is a clustered regularly interspaced short palindromic repeat (CRISPR) locus. The U.S. government has declared R. toxicus to be a biological select agent for toxins and specimens are handled at highly secure federal facilties. There is no evidence of the bacterial species in Oregon but concerns are high because the worm that transports it to plants is found in the state. 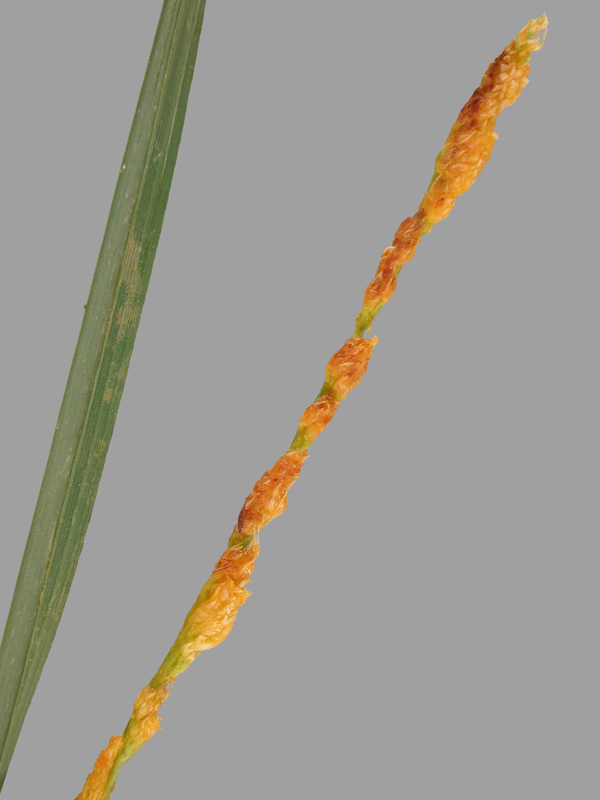 In addition, the worm and bacteria both infect grass seedheads. In 2017, hay and grass seed were the third- and fifth-largest agricultural commodities in Oregon, with a combined value of more than $1 billion. CRISPRs are used in genome editing technology but are less known for their ecological roles. In this study, the scientists relied on whole genome sequencing to understand how different species of Rathayibacter are related and how they evolve. “Now that we have a whole genome sequenced and understand it, we can identify specific sequences that can be used for molecular diagnostics. That could be a powerful way to massively survey seed lots to find out if R. toxicus is present,” Chang said. In the study, the researchers used DNA extracted from R. toxicus collected during a 30-year period of sampling in three regions of Australia. Their analysis also included strains collected from seeds produced in Oregon. R. toxicus was not detected in seed samples from Oregon, and the two dominant species of Rathayibacter found in Oregon lack the genes necessary to make the toxin that has afflicted grazing animals in Australia. More than 100 sequenced Rathayibacter genomes were analyzed. R. toxicus is the most genetically distant, and that’s likely because it is the only Rathayibacter to have acquired a CRISPR adaptive immune system to protect against viruses, said Ed Davis, an OSU doctoral graduate and one of the study’s co-lead authors. Collaborating on the study were scientists in OSU’s Department of Botany and Plant Pathology, Molecular and Cellular Biology Program and Center for Genome Research and Biocomputing. Collaborators also included the U.S. Department of Agriculture’s Agricultural Research Service (USDA-ARS), University of Idaho, Washington State University, the University of Sao Paulo and Tel Aviv University. Davis conducted research on a National Science Foundation Graduate Research Fellowship. The research was also funded by the USDA Animal and Plant Health Inspection Service, and the USDA-ARS.